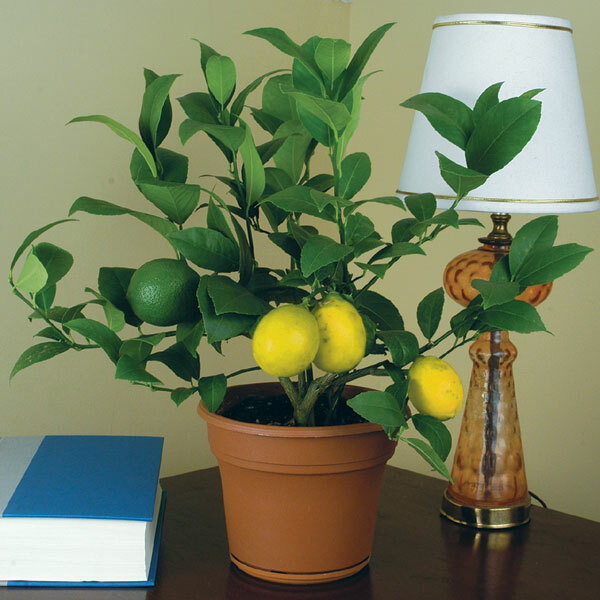 Citrus grown in the apartment, has long been for anybody not news. Most often, home grown lemon. So every year he will bring you fruit, it is necessary to periodically trim and remove old branches. But if clumsily to prune the tree, it will wither and not bear fruit. Escape zero order to the end of your aging cut at a height of 15-20 cm, leaving 4 developed kidneys, which in the future should be 3-4 major escape. Zero is called vertical escape. When the shoots of the first order (principal) reach a length of 20-30 cm, they pinch. For this it is necessary to nip off the very tip of the sprout. When I grow up shoots of the second order, trim them to a length of 20-25 cm and Subsequent sprouts cut into 5 cm shorter than the previous one. About the fourth order of the shoots ends with the formation of the crown. Usually with shoots of the fourth order tree begins to bear fruit. The tree is a lemonand had not grown old and useless branches, need pruning regularly. Strong shoots need to be shortened, and the old and growing inside the crown to remove. The upright growing shoots that do not produce (fat shoots, or remove, or cut to 20-25 cm, so they started to give fruit. Old trees are regularly molagavita. To do this, briefly cut off the weakened branches to cause the growth of new shoots. Gradually cutting off and feeding up old tree, you extend the fruiting. Cut the lemon in spring, in March, before he starts sprouting. A little to thin out the crown and in the winter, after removing the fruit from the tree. If you want the next year to improve fruiting lemonand, best of all to make the autumn-winter pruning. To the lemon bore fruit every year, along with pruning and pinching of the shoots need to remove part of the flowers. Their surplus wood is depleted, the reduced number of ovaries from which in the future will be fruit. The more barren flowers you remove, the greater will be the useful tree of the ovary. If you leave too long branches, it will lead to the formation of fruit buds. And before the fourth order in the tree cannot bear fruit. But much short crop unwanted – new very strong shoots. Do not get carried away much cutting of the lemon, as it weakens the tree.